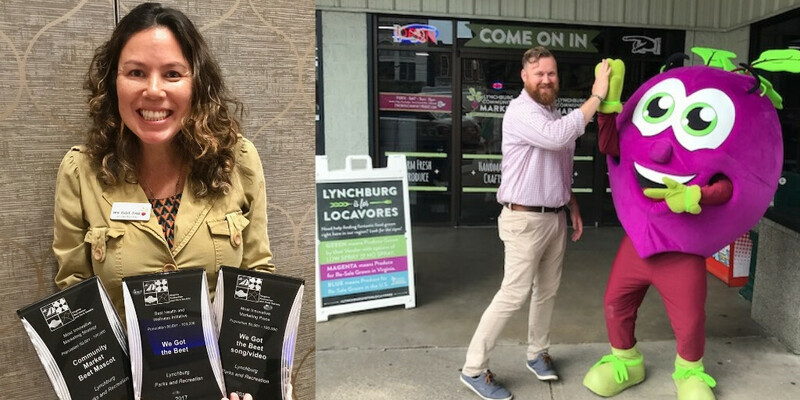 “It is with great excitement and yet bittersweet emotion that I announce my departure as manager of the Lynchburg Community Market (LCM) as I finish my tenure in the upcoming weeks” Jennifer Kennedy writes. This is very sad news for us, but we are thrilled for Jennifer and wish her all the best. We have had the pleasure of working with her over the years and have been impressed by all that she has accomplished in Lynchburg. Jennifer is the epitome of a professional market manager and a model we hold up as an example of the direction we want to move market managers as we continue to seek to professionalize the role of farmers markets and farmers market managers in Virginia. We are excited to work with Ricky Kowalewski who is taking over as Market Manager on May 1. His experience as Assistant Market Manager, his commitment to the LCM vendors, and his education via our Market Manager Certification course will serve him well in this role. We encourage you to read Jennifer’s full letter to the LCM community.